Editor's Note: This is a guest column by Jeffrey Bilbro, assistant professor of English at Spring Arbor University. 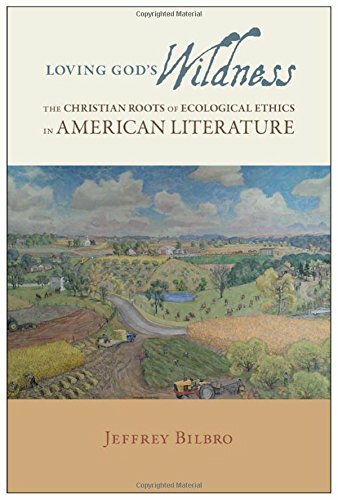 His book Loving God's Wildness: The Christian Roots of Ecological Ethics in American Literature was published in 2015 by University of Alabama Press. Over the last several centuries, developments in philosophy, science, and technology have gradually conditioned us to perceive the world as "nature" rather than "creation." This shift in how we name where we are, Norman Wirzba argues in From Nature to Creation, has far-reaching consequences for how we inhabit the world—and he proposes a reversal. Drawing on the work of Emmanuel Levinas and Dietrich Bonhoeffer, Wirzba claims that calling the world "nature" renders the modern self "'asleep'" or even "'dead'" "because it is not alive and responsive to another in its singularity and transcendence." As an alternative, Wirzba urges his readers to dwell within a creation that continually summons its inhabitants to attention, gratitude, and care. has come. The trees, once bare, are green.